Whether your Big Sky lives in the studio or on your pedalboard, you are no doubt familiar with what this pedal has to offer. 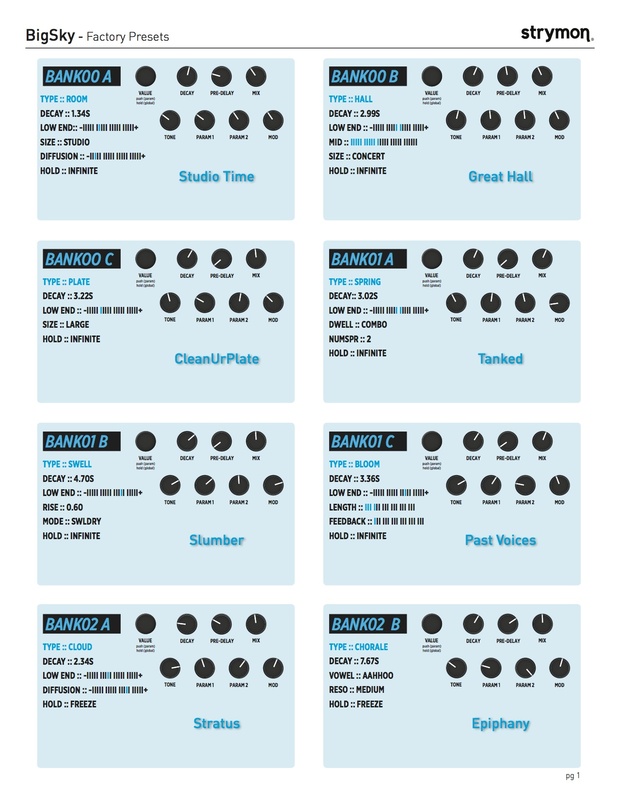 Packed with 12 studio class reverbs, 300 user presets and amazing tweak ability you can easily achieve lush, radiant reverbs that will have your sound floating in the stratosphere. 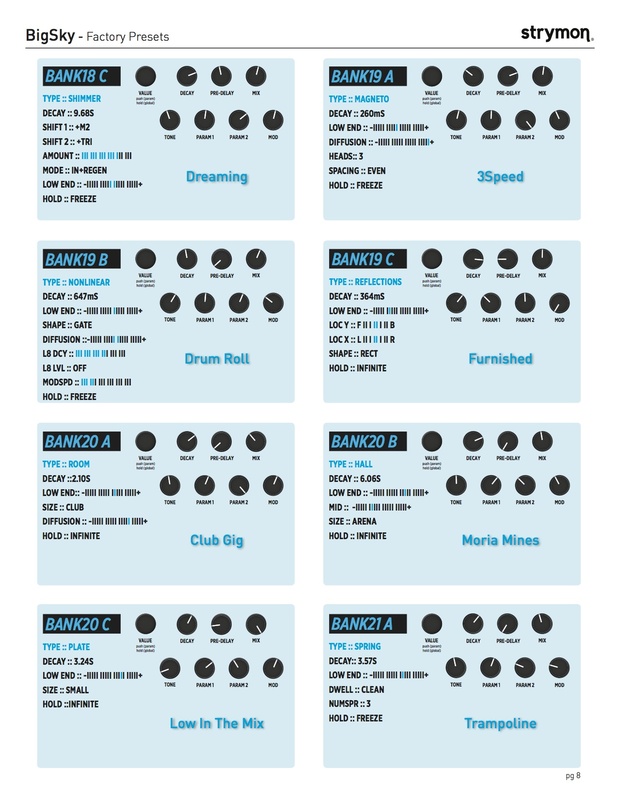 The parameters on a pedal such as the Big Sky can seem daunting at first glance, but never fear! 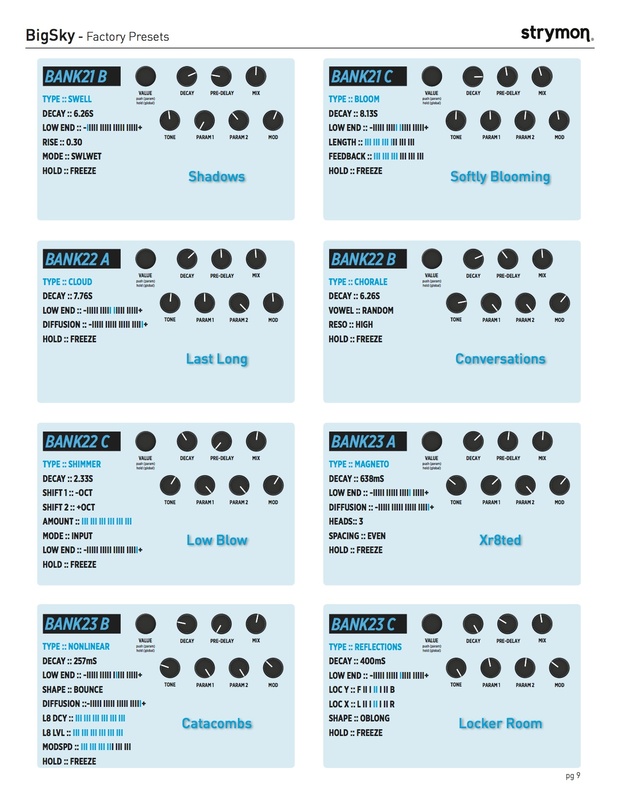 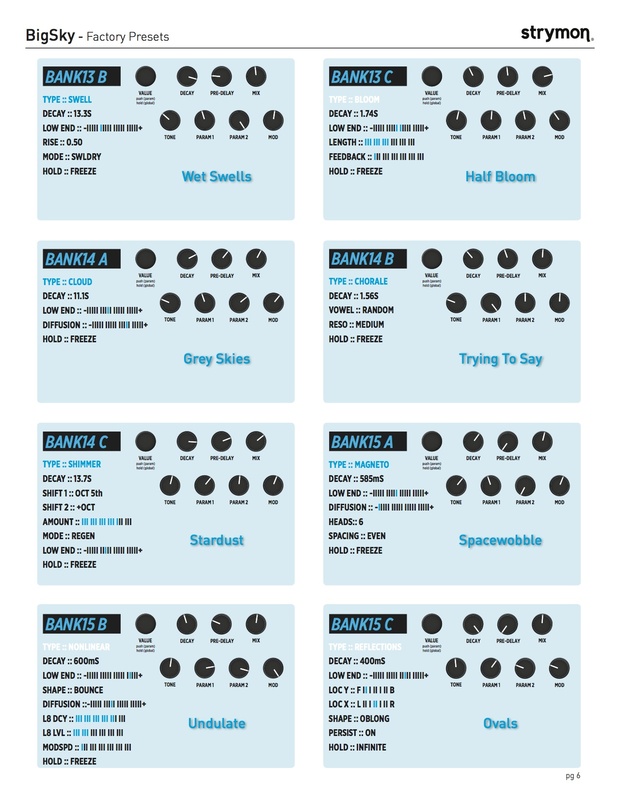 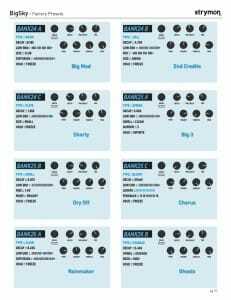 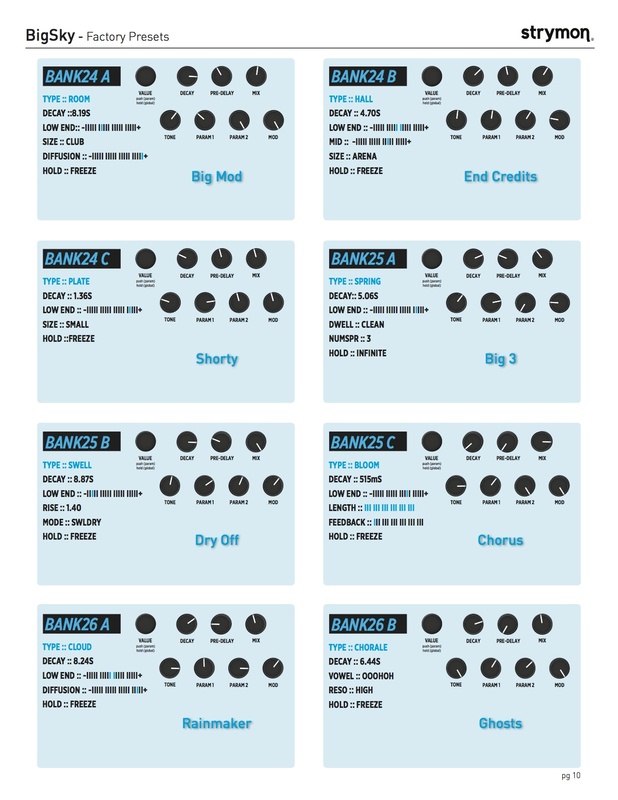 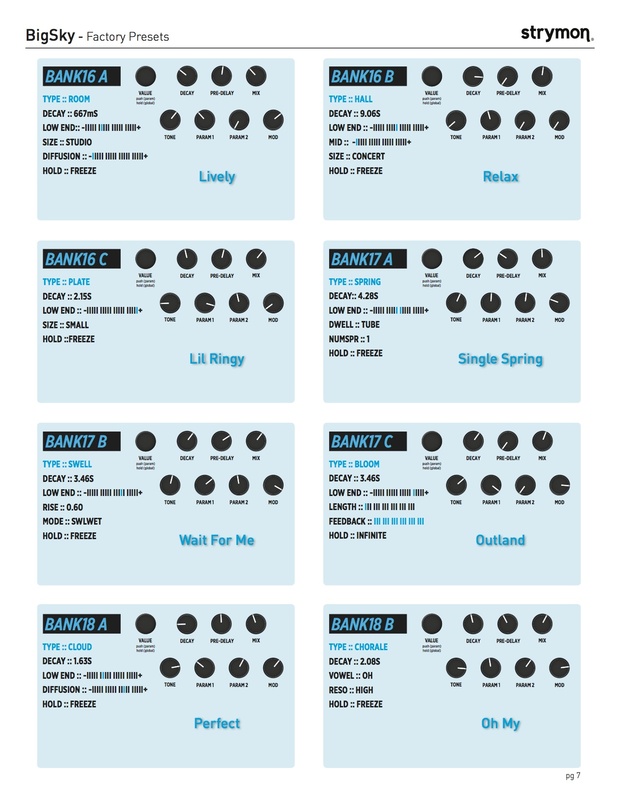 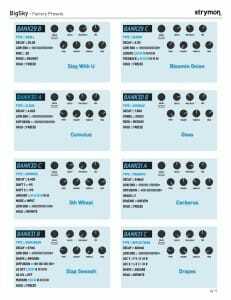 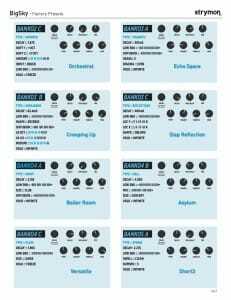 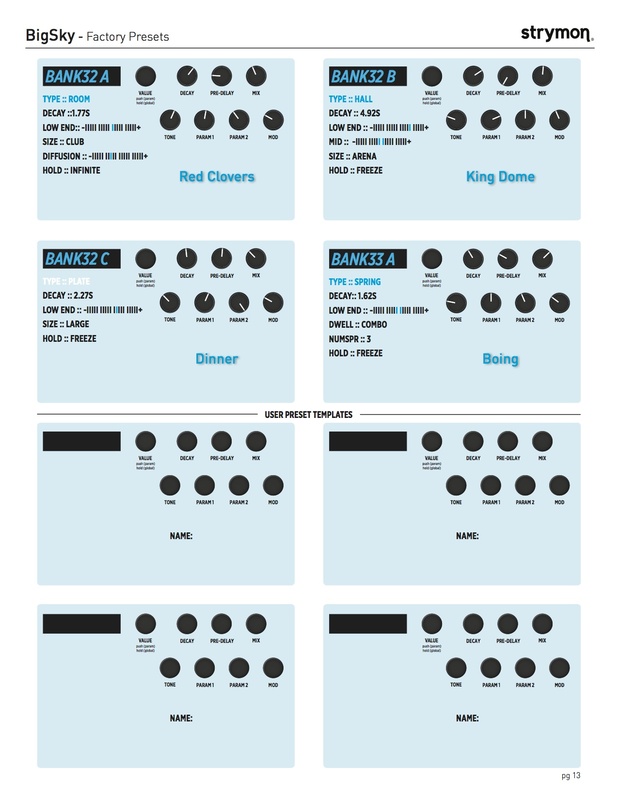 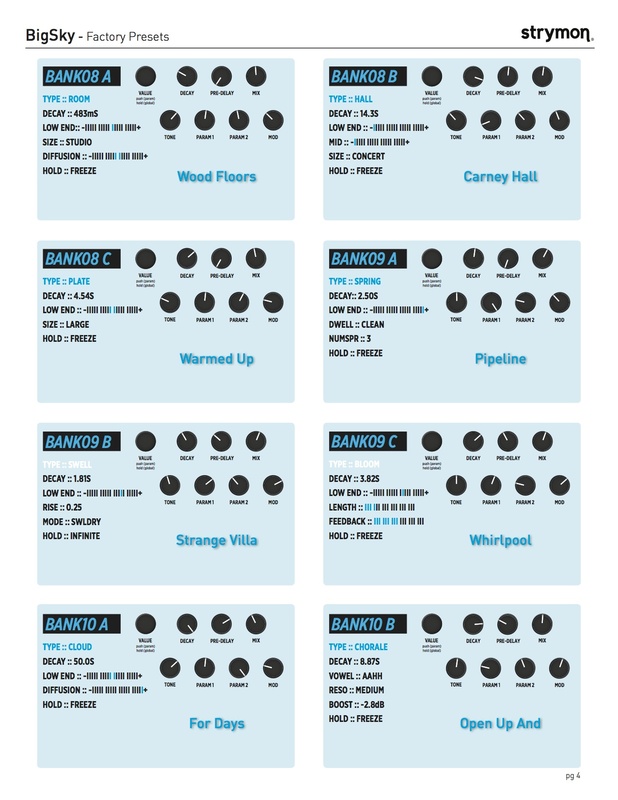 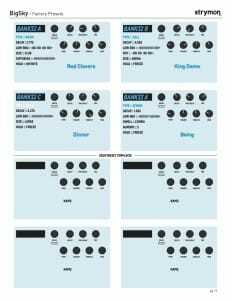 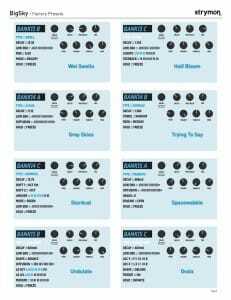 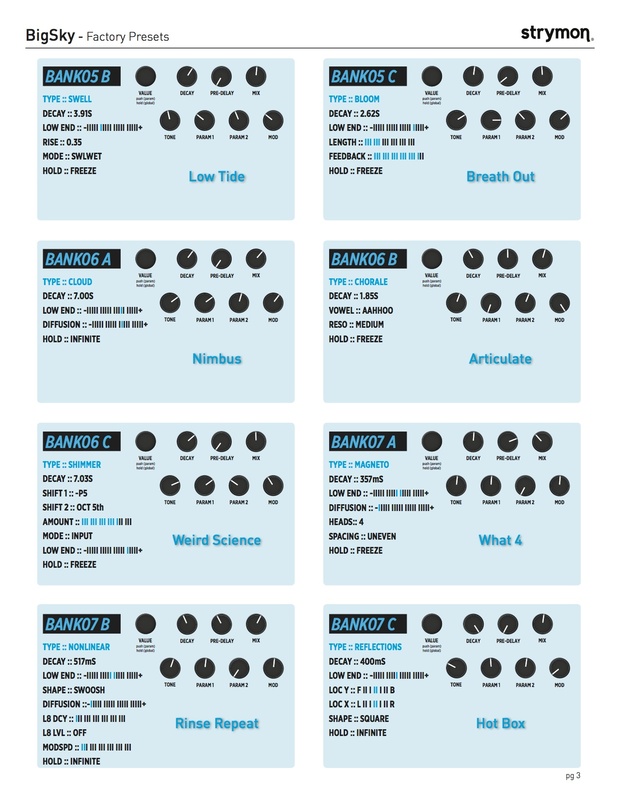 The kind folk at Strymon have released a list of Factory Presets that will help you familiarise yourself with the pedal whilst keep you busy for hours and hours.